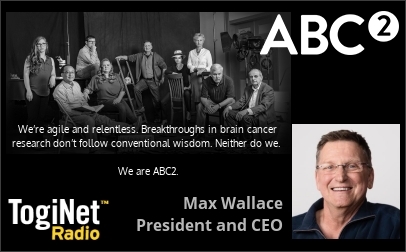 Max Wallace, President and CEO of ABC2–Accelerate Brain Cancer Cure, talks about founder and venture capitalist Dan Case who had been afflicted with, and ultimately died of brain cancer. ABC2 has for a model Dan’s genius for taking risks fearlessly and applying the venture approach to brain cancer research and treatment, the “Valley of Death” where such funding is desperately needed, coining the term “Venture Philanthropy.” Max also talks about some of the most innovative and potentially cure-contributing research projects which ABC2 is currently supporting. 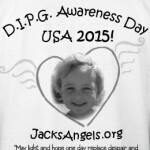 Visit ABC2.org for more information. 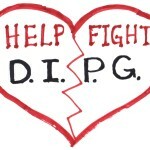 ABC2, Accelerate Brain Cancer Cure, brain cancer, brain cancer research, Dan Case, high-risk investment, HOPE, Max Wallace, removing the risk factor, Valley of Death, Venture Philanthropy. Bookmark.